Artist Jason Pawley painted this beautiful Painted Plains mural on the back of PaneVino Wine & Steak, in the alley behind 124 W Randolph, downtown Enid, Oklahoma. In 2017, PaneVino Wine & Steak presented at our Food for Thought event and won funds to help pay for an alley mural on their building. Matching funds came from the Enid Regional Development Alliance and Park Avenue Thrift. 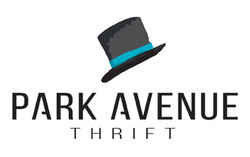 The Enid Arts Council became a sponsor and Park Avenue Thrift matched those funds as well! The Downtown Mural Program started thanks to Bert Mackie and ONEOK, Inc. Mural funds supplemented the Food for Thought winnings and sponsorships to complete this beautiful mural!